More than twenty years scrapbooking, and much of that spent teaching and helping others, I’ve learned a lot about what people love and what they struggle with. Love, relationships, and marriage are at the top of the list because break-ups, divorce and fall outs happen. I get it. I was married young, had a family and then divorced ten years later. I didn’t know I was getting divorced until one day he just up and left. That was it. No car, no money, and no fishing supplies. Yep, he even took the kid sized poles and all of the tackle boxes. That was a difficult time. I didn’t know I was getting divorced until one day he just up and left. 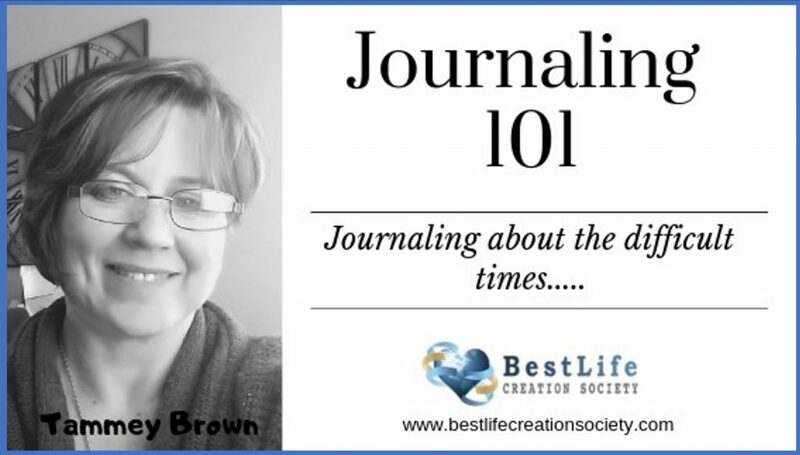 Traditionally journaling was a way to vent and to write what was not pleasant, not liked, not enjoyable OR what was amazing. What if it’s actually all amazing? Maybe not in the moment. It wasn’t fun having to tell my children their daddy was gone and I didn’t have an explanation or excuse for it. It wasn’t fun to face each day as a single parent and everything that came with it, but there were amazing blessings, joy and laughter in each day because of my wonderful children. We moved on and put our life back together. I learned about scrapbooking and started a group online to help others learn how to scrapbook as well. At that time there wasn’t FaceBook, Pinterest or Instagram. We had a Yahoo group and shared via email. Every Thursday evening for many years I would get on Yahoo Messenger and turn on my webcam to demonstrate the layout I had developed just for those in the group. The members were from around the world and all ages and experiences. There was always a peak of interest around the holidays and it would die down over summer. Surprisingly Valentines Day was always one that seemed to spark negative threads. There was talk of shredding photos, taking people out of albums and attempts to re-write their own history. I understood, I’d been there. It wasn’t so fresh for me though so it was easier for me to look a different perspective. I’ll never forget a conversation I had with one young mom. She hated her grandfather, doesn’t matter why, but she had good reason. She asked me for the best way to cut him from the photos and still have the pictures to put in her albums. We discussed why she thought she needed to do that and it was her way of punishing him. She would just wipe him from her tree, that would teach him! Thing is, that’s not actually possible. Oh, she could throw away all of the photos of him, but it didn’t change what had happened or her history with him. I encouraged her to see how he was a part of her story, but she was in control of sharing his part in it. She came to realize that by putting so much effort in to punishing her long dead grandfather, she was really actually giving more power to the hurt and keeping it alive. We discussed what she wanted from her albums and what legacy she wanted to leave for her children. Did she want to share the poison from those few years with him forever with them, or did she want to build her own story and theirs? I suggested he was a part of them and that by building up her story, she built up her children as well. She began to focus on family and the positive things her grandparents taught and shared with her. She chose to include the photos with him in it, but at first just mentioned him as the guy in the picture. Later, she started to add funny stories and warm memories. After a few months her thought patterns shifted and she focused on sharing the strong family bonds that existed and what an amazing history her children were inheriting of how her grandparents came to America, how they met and married and how they worked hard to create the family farm. She started referring to him as the ornery old fart, but admiring how tough he had to have been to get through the freezing midwest winters without running water or electricity! She chose to share his strengths and focus on what he did right and how she saw those same strengths and passions in her and her children. She knew how her story should be written and she wrote it that way. She knew how her story should be written and she wrote it that way by focusing on what she loved, what she wanted shared, and how she could uplift her children. She chose love. When my husband left us, it was an amazing blessing. We were happier, safer, and more stable without him. None of the difficult times are found in my albums, but he is. I still made pages full of family memories and laughter. Oh, it didn’t happen quickly, but it did happen. I recognized early on that I could fill the pages with the hurt and anger that I felt towards him OR I could fill them with the love, joy, and blessings I wanted to leave with my kids. I chose to empower and uplift my family. I chose love. As we head into celebrating love and relationships and all that comes with that, what do you love? By focusing on what you want and what you want more of in your life, you water the beautiful seeds of joy just waiting to sprout in your garden! 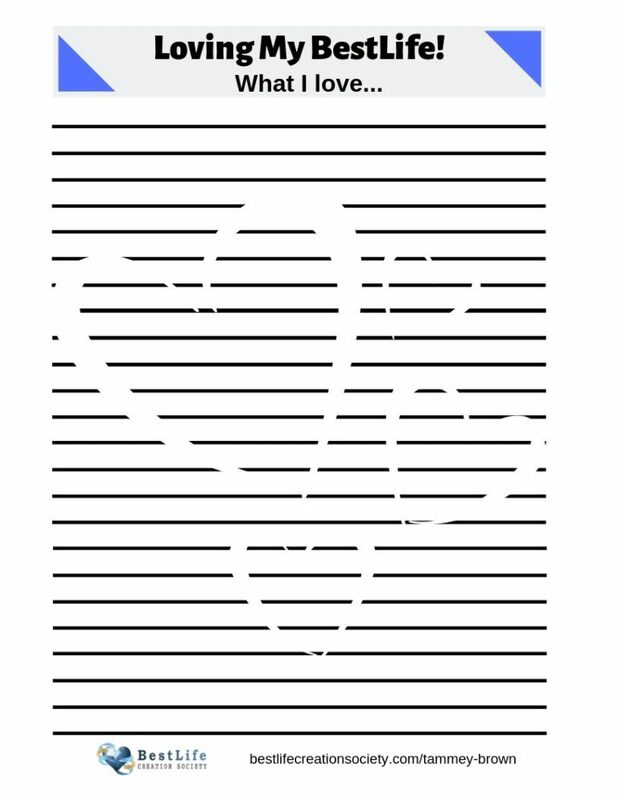 Click on the image to download the journal template I created just for you! Print it and journal or share it with others. Each week I will share a journal prompt which is simply meant to spark ideas and action, but what you create is whatever feels good to you! Splats of color on a page with a quote on it IS journaling! A poem is journaling! Writing out your desires, prayers, dreams, ideas, and feelings IS journaling! So is scrapbooking. Here’s to living YOUR BestLife! Did you know there is an online, open workshop the second Thursday of each month? READ MORE! Follow my Pinterest Scrapbooking Board!